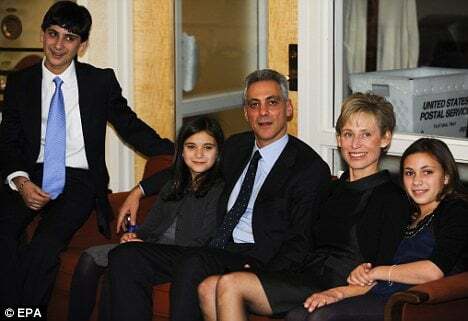 Rahm Emanuel’s son Zach was mugged in the 4200 block of North Hermitage Avenue in Chicago. Zach Emanuel was talking on his cell phone on the street in the 4200 block of North Hermitage Avenue in the Ravenswood neighborhood when two unknown males approached him from behind, according to the police report. One of them “placed his arm around the victim’s neck in a rear chokehold,” and the second one struck the teen with a fist, knocking him to the ground. The robbers took the teen’s cell phone and patted him down, the police report said. “The offenders then asked the victim ‘What else you got?’ (and) forced the victim to enter his security code to unlock the phone,” the police report said. The robbers then ran away. The teen was treated for cuts and bruises on his face by a personal physician at his home, according to the report.